If you are planning on starting a large garden or even growing vegetation on a large scale, you are going to need the right tools. Without them, your work is going to take much longer and will not be done quite as well either. One tool in particular that you will require is a tiller. This is also sometimes known as a cultivator. It can be used for numerous purposes, and therefore is quite versatile. It can be used to turn the soil, to loosen it up for better water movement, and to mix in compost and fertilizer. The electric versions of these tillers are becoming more popular as they are easier to use and more efficient. Here are the ones that you should be focusing on. With the Sun Joe tiller you are harnessing a 12 amp motor. This allows you to move through the dirt at 360 RPM. There is very little that can stop this tiller in its tracks as it crushes and pushes the dirt. The tines are made of steel and are perfectly angled. This makes it equal parts efficient and durable. The manner in which this cultivator works also means that the perfect amount of aeration is reached as well. 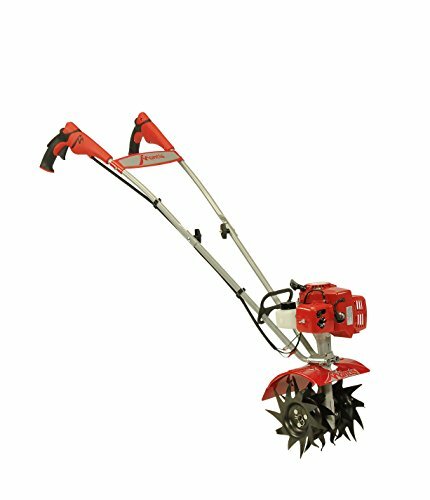 The tiller is capable of digging up to about 8 inches deep and sixteen inches wide. This can be completed in a matter of moments, meaning that the overall plot of land will be taken care of quickly. As the tiller does not use gas, you can ensure that it will start immediately. Also maintaining the tiller is made a lot easier as well. The handles on the tiller makes it incredibly easy to transport from one place to another. When you are done with it, the handles can be folded, allowing you to use up less storage as a result. If you were to consider a primary feature of this cultivator, it would be the tines on it. 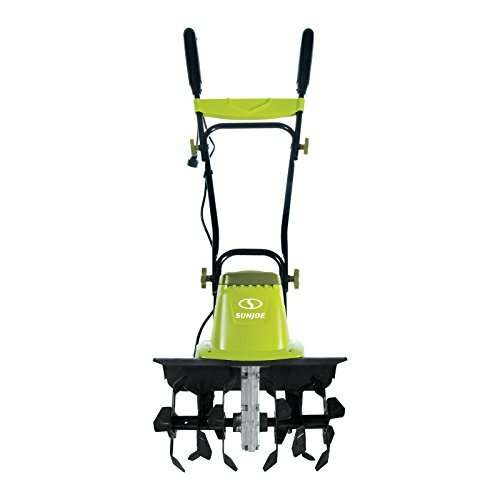 This tiller has four tines, each designed to tackle the dirt in three different ways. This means that it is capable of performing three different functions. This includes digging, tearing, and turning the soil. The tines are also able to dig about five inches into the soil. Similarly, they can clear a path of about 6 to 9 inches as well. These tines are powered by a potent 6.5 amp electric motor. This makes the work produced by this tiller both efficient as well as fast. 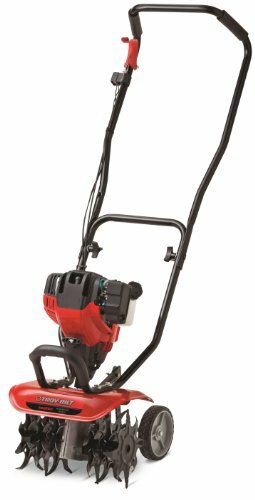 Despite being a powerful tiller, the Troy-Bilt cultivator is not heavy at all. It is lightweight and also boasts an ergonomic design. As a result, it is easy and comfortable for people of varying sizes and strengths to use. The wheels make it easy to push the tiller through the dirt, requiring less effort from you. As an added bonus, this cultivator is backed by a two year limited warranty. If you don’t want to tire out quickly after working on your plot, then this Mantis tiller is certainly for you. 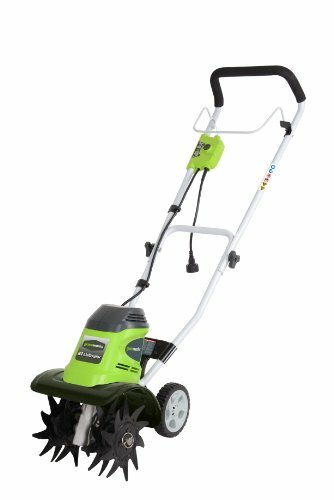 It has the advantage of being one of the lightest tillers on the market, weighing in at just twenty pounds. When you consider this along with the fact that it sports ergonomic handles, this is definitely a comfortable piece of machinery to man. It’s more than that, however. It is also really easy to use and you can be sure that you are getting a lot more work done. What’s more, this tiller is quite versatile. It works well with a variety of soil types, regardless of how unyielding it appears to be. 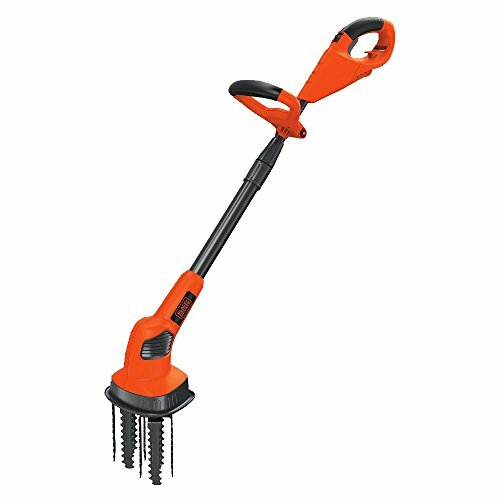 Whether you are trying to dislodge compacted soil or digging a planting hole, this tiller will come in incredibly handy. The tines have been created to make sure that you get as much work done as possible. You can dig up to ten inches with a tilling width of about nine inches. The tiller can be easily folded when you want to store it. Are you tired of cords getting tangled up as you try to till your land? Also, do you want to avoid the mess and hassle of trying to handle and maintain a gas powered cultivator? If both of these situations apply to you, then the Greenworks Cordless Cultivator is the solution that you have been looking for. This is because it works off of a G-MAX 40V Lithium-Ion battery. This charges in just a space of two hours and then is ready to be used. There are several perks to this cultivator to others. For one, it allows you to get to a depth of about 5 inches. It also has an adjustable tilling width of between 8.25 inches and 10 inches. It averages about 2000 strikes into the ground per minute. Also, it starts instantly meaning that you do not have to waste time fiddling about. Also, you will find that this machine is a lot more comfortable to use. Not only is there less noise, there is also fewer vibrations produced. This Black & Decker Tiller certainly looks quite different to the other cultivators on this list. This actually makes it well equipped to break up the soil. This allows water and nutrients to reach the plant roots more easily. Also the tines are counter-oscillating. This means that they are less likely to have weeds and other plants stuck in them as you move along. This unusual looking tines are powered by a 20 volt lithium-ion battery. This means that this battery will last a lot longer than other types. The tiller is also capable of operating for a longer period of time once it has been charged. Fully charged, you will be able to cultivate up 325 square feet of land! As it is battery operated, you will not have to deal with cords or gas emissions. The handle of the tiller can easily be adjusted to suit people of varying heights so that each person will be comfortable. It is also quite lightweight, ensuring that you can work with it for a longer time. Conclusion: Here you will be able to discover a variety of tillers. Due to this range, you will certainly be able to find one that suits your requirements perfectly. This will help to vastly improve the condition of your land and ensure that you will have less work to do as a result.